The blog will be updated again next Friday. I mentioned earlier this week this exciting documentary which will soon be released in Italy. Can't wait to see it in a few months when it gets released in DVD. In the meantime I had the pleasure of interviewing its director. Didier Ghez: Please tell us about the genesis of this project. How did it start and why? Marco Spagnoli: I was asked from Disney Theatrical CEO in Italy Stefano Bethlen to suggest a special project in order to launch 'Saving Mr.Banks' in Italy. I'm a consultant with many Hollywood Studios in Rome where I work. I told him: "I usually give disinterested advices. This time I will give an interested one. 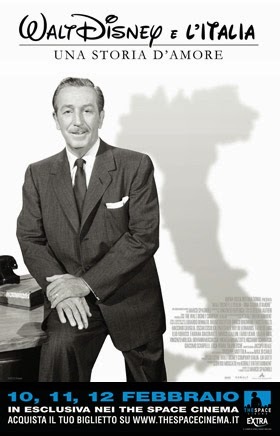 Why don't we do a documentary about Walt Disney special relationship with Italy and Italians? Why don't we put together all footage regarding Disney's travels to Italy and we blend it with witnesses from the past and testimonials from the present?" 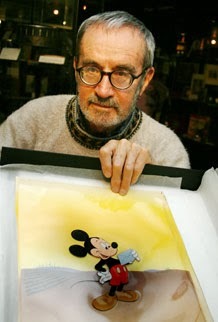 Walt Disney in Italy is like Leonardo DaVinci. Everybody knows him, his work is like a fundament of our society. 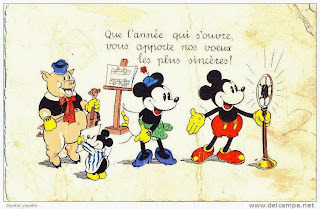 Every child sees his movies and we learn to read on Topolino that is Mickey Mouse Magazine. Stefano, and I must underline the cleverness and courage of this executive, decided to bring to his bosses this crazy idea and they all liked it because I promised to bring intellectuals as well as fashion designer and Italian movie Star to talk about WD. And I did it. 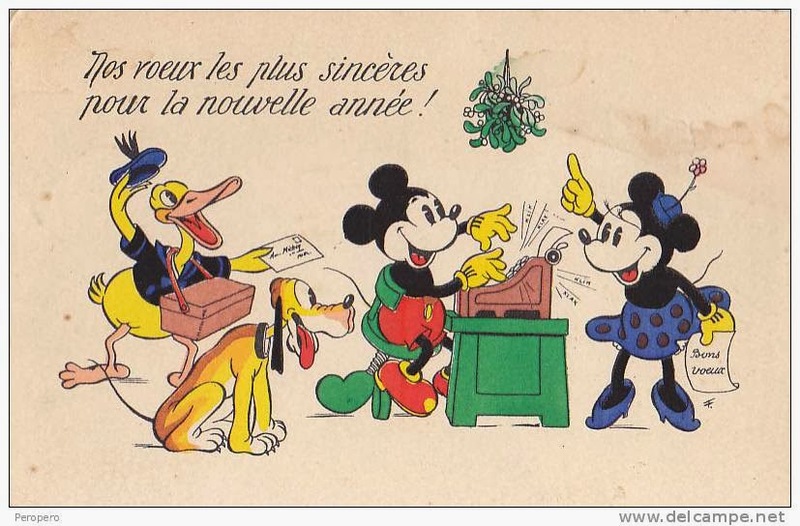 We worked very closely with Disney in order to have them with us in every step and they have been wonderful and incredibly supportive and nice. 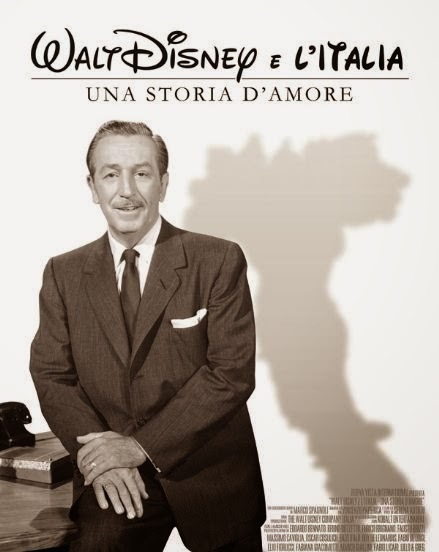 I was incredibly honored and flattered to have the responsibility of directing a documentary on Walt Disney and Italy. Even tough I'm too involved, I must say I admire Disney's people who, instead of buying some P&A for supporting 'Saving Mr.Banks' they took the 'risk' of producing a documentary with the same money. 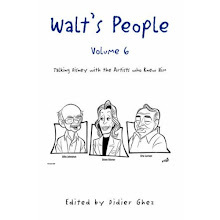 They were brave and smart, and they were 'visionaries' in a strict disneyan sense: starting from Italy Country Manager Daniel Frigo, the already mentioned Stefano Bethlen and all the others. My documentary is also a homage to all the Disney people in Italy and all over the world who are trying to bring on this incredible legacy. DG: What were the most exciting things you learned about Disney history while working on this project? MS: His generosity: his pure curiosity and his love for art and Nature. That's why, I guess, he loved Italy so much. For its simplicity and its immediate connection with his vision. Nobody could stop his art and the beauty of his work. Not even Mussolini could forbade Topolino Magazine and after almost 50 years from his death, Walt Disney is still alive and well in our culture. Like all great artists. 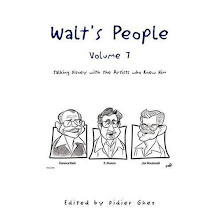 As somebody states in our documentary 'Walt Disney is considered an Italian: his work belong to this country like pizza and Vespa. Are you saying we are wrong? Think again..."
Walt Disney is an Icon. We bow to his greatness and we respect him as a family friend or member. with Disney in Hollywood when he was nine. 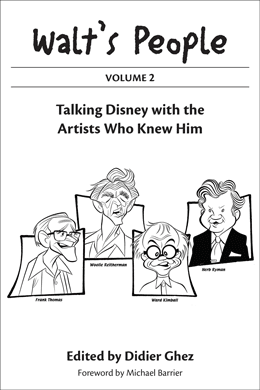 DG: What are the key surprises Disney History enthusiasts can expect? For the first time we'll show Fellini's sketches of him and Disney at Disneyland in HD. I don't know...maybe this is a pop documentary on the imaginary collective of Italy on Walt Disney...somebody might not discover anything he doesn't know, but my hope is everybody will cry in the end of the documentary, because we show something, maybe unexpected....we'll see. DG: For people outside of Italy... Are there any plans yet to release the documentary on DVD? MS: It depends on Disney, of course. Hopefully they might like and do it worldwide. It will probably play on iTunes and we are working on developing a special Italian Edition. 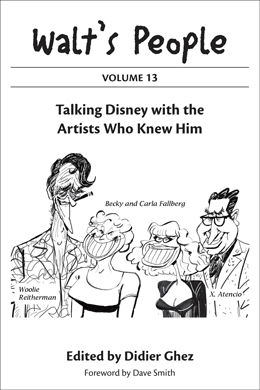 DG: Are you planning to tackle any other Disney-related project after this one? MS: No. 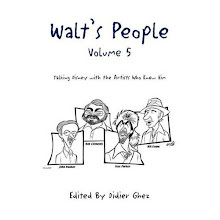 I'm working on developing other documentaries related to Movies or Entertainment, but I don't think that I could add more on Disney, altough I'm puzzled why nobody tackled his artistry and his special friendships with Eisenstein, Dalì and Hitchcock. That would be nice, but it should be done from somebody who would have direct access to documents and papers of all these artists. 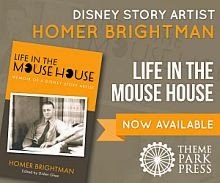 And so, apparently, there is not just one, but two movies in the making about the early days of Walt! Here is a link to the website of the second one. 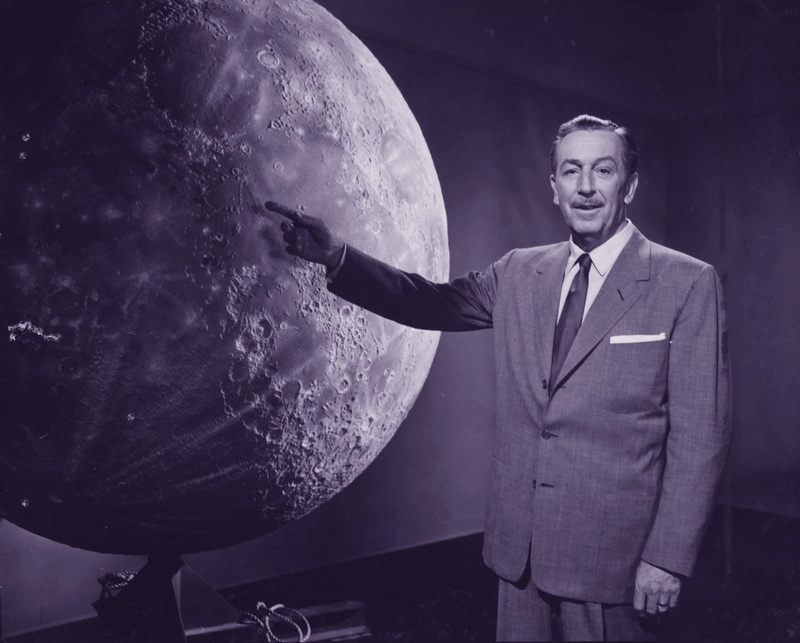 One thing that we are certainly not going to lose sight of in the weeks, months and year ahead is Walt Disney. First up is Tom Hanks’ portrayal of the iconic showman in “Saving Mr. Banks” arriving in theaters this month. 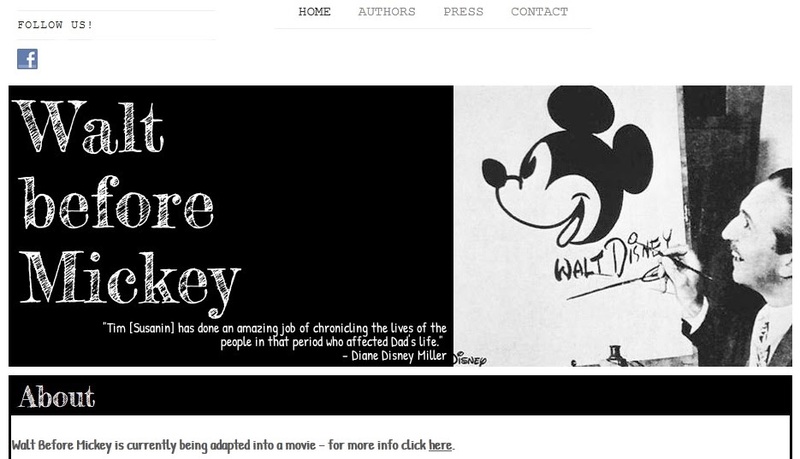 Uncle Walt will continue to get the star treatment in 2014 with word that a major feature film is in the works. 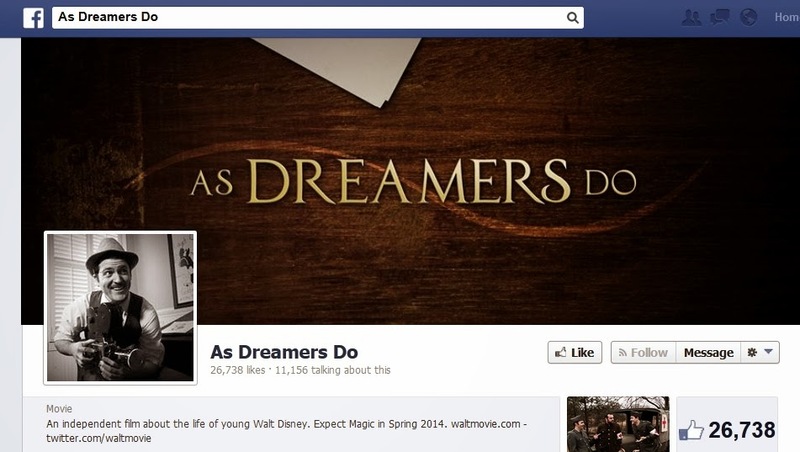 Filming is scheduled to begin on “Walt Before Mickey,” a big screen flick about the life and times of a simple man with a big dream: Walt Disney. 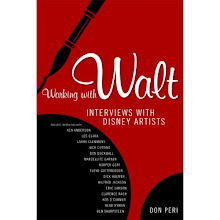 Set in the 1900’s, the film is based on the 2011 book “Walt Before Mickey, Disney’s Early Years 1919-1928” by author and lawyer Tim Susanin. 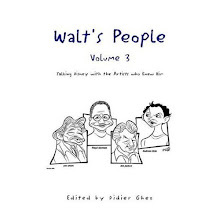 The book by the suburban Philadelphia writer chronicled Walt’s early years and his rise to success. 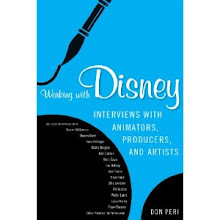 The foreword to Susanin’s book was written by the late Diane Disney Miller. An avid baseball and movie fan Gutierrez, a Harvard graduate, just finished serving as executive producer of “Henry & Me,” a feature film with a star-studded cast of actors, singers and athletes including Richard Gere, Chazz Palminteri, Lucie Arnaz, Danny Aiello, Cyndi Lauper, Paul Simon, Reggie Jackson, Alex Rodriguez and Yogi Berra. 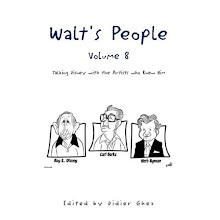 He picked up a biography of Walt and read it on the plane trip home, admitting that he just could not put the book down. 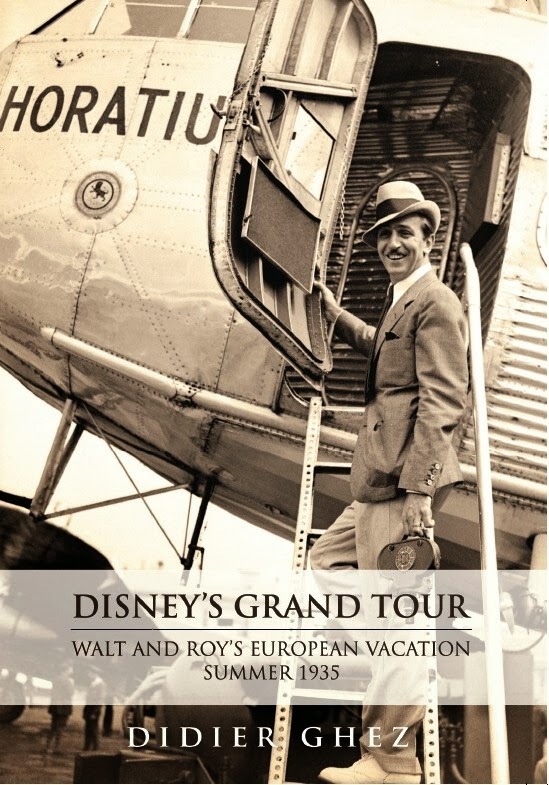 He quickly realized that there was very little, detailed information about Walt’s return from World War One and what came next in Disney’s world. “There was no record so I wanted to learn more about that” he recounts. 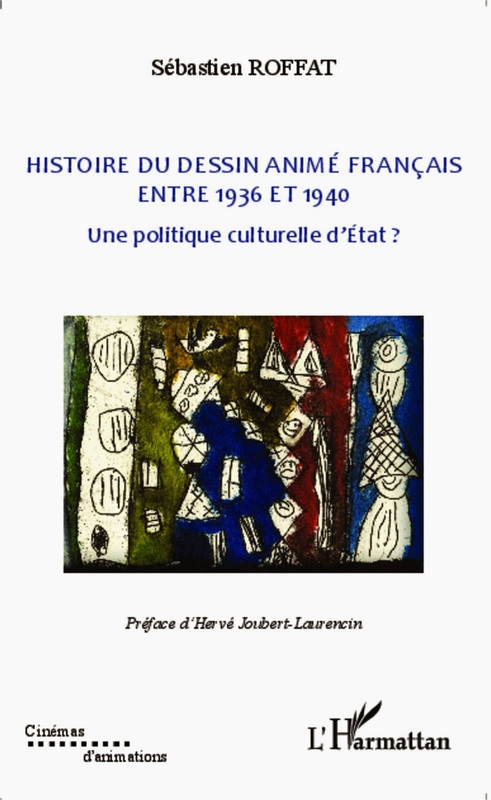 For all the French speakers reading this blog, Histoire du Dessin Anime Français Entre 1936 et 1940 une Politique Curlturelle d'Etat by Sebastien Roffat will most certainly be a must-have. 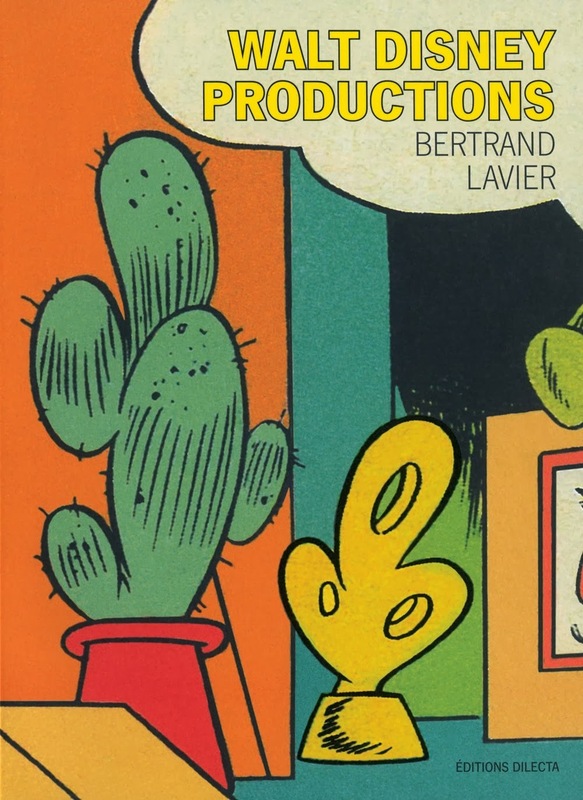 This will be the best history of French cartoons and while the book is not directly related to Disney history, it looks as if it will still contain a few fascinating sections about Disney in France. Can't wait! The last three months have really been awful. 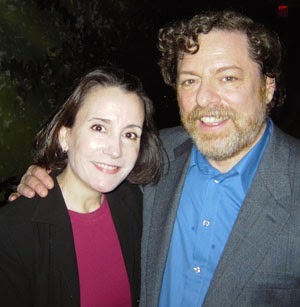 First Diane in November, then Robin Allan earlier this month and yesterday Michael Sporn (1946 -2014). You can read Michael Barrier's and John Canemaker's homages here. Rita and I had the pleasure of meeting Michael Sporn at his studio in New York during our last trip to New York a few years ago. 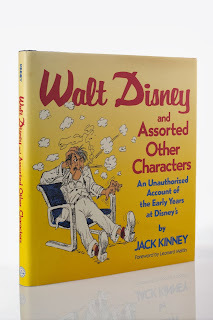 I knew Michael as a dedicated animation historian, through his blog, which I read every day and through many exchanges of emails about Disney history. After that trip I also discovered all his animated masterpieces. This is all happening too fast. I am, once again, shocked and on the verge of crying. 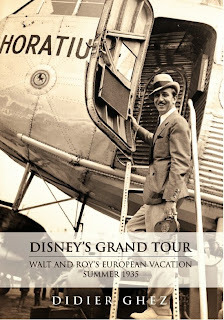 The Kindle version of Disney's Grand Tour is now available on Amazon. Hurray! Jack Kinney's autobiography has always been one of my favorite books about life at the Disney Studio. Over the years I have heard rumors that the initial manuscript was much longer that what ended up in the published book. Would anyone have access to the uncut version of the manuscript? As Dreamers Do is an independent film about the life of young Walt Disney to be released in Spring 2014. The project scares me. I hope that the people behind it have at least read Tim Susanin's book... I hope that my fears are unfounded. Just released on Animated Views: Written interview with Jérémie Noyer about the making of Disney's Grand Tour. Enjoy! 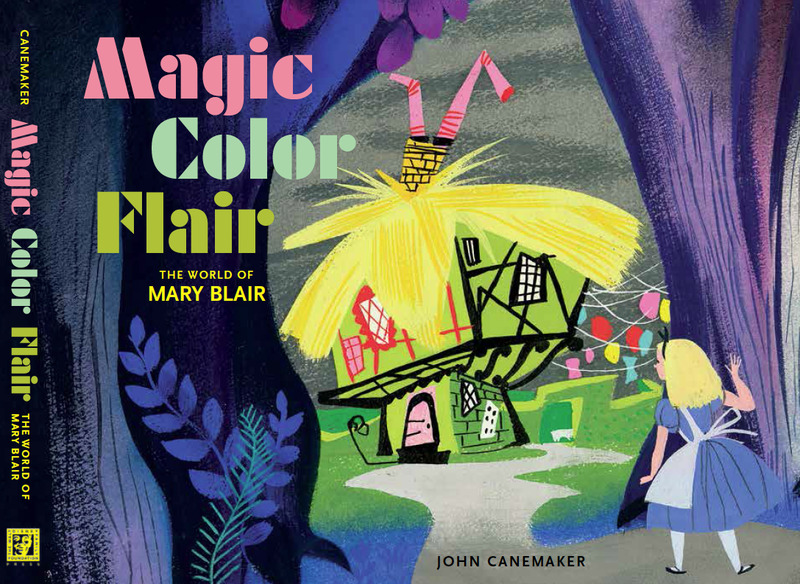 I am really looking forward to the upcoming catalog of the Mary Blair Walt Disney Family Museum exhibition, Magic Color Flair: The World of Mary Blair by John Canemaker. 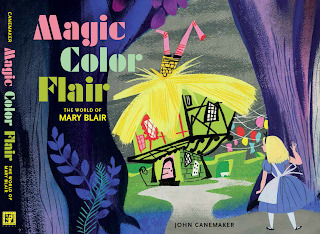 I asked John: "Is the text brand new or is it very similar to the text which was included in The Art and Flair of Mary Blair? Will we discover many illustrations that we had never seen before?" 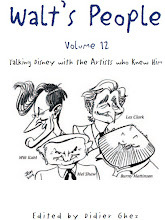 To which he answered: "Thank you for asking re the Mary Blair exhibition catalog. 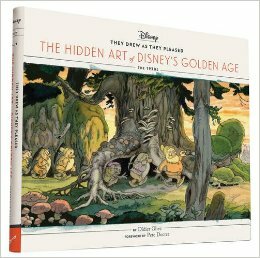 It is a beauty, well designed by the Weldon Owen publishing team, who created the Snow White and Tyrus Wong exhibit catalogs. "The text, written by me especially for this exhibition and catalog, is new and focuses on the artwork. There are familiar pieces, but within this comprehensive show of 200 artworks -- from private loaners as well as the WDFM's extensive collection -- viewers will no doubt find art and photos new to them or rarely seen in person from all areas of Mary Blair's long and varied career." 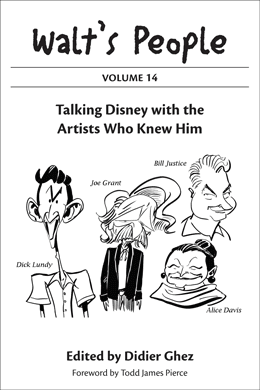 Do not miss the second part of my interview with Tim Callaway about the making of Disney's Grand Tour and about my future Disney-related projects. 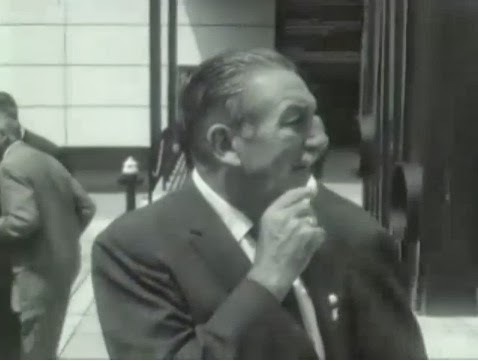 I just stumbled today upon this rare footage of Walt and Lillian visiting the Swiss Expo64 in Lausanne on June 21, 1964. Not to be missed. 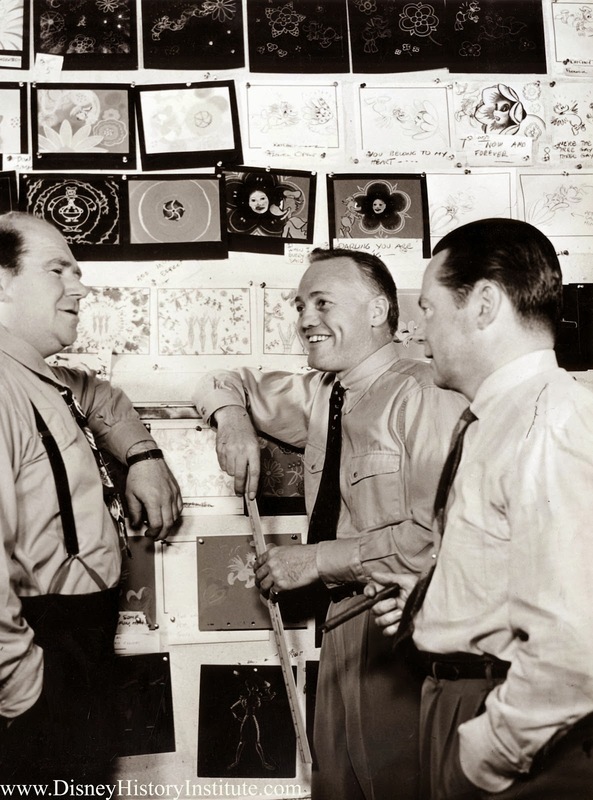 I will spend a big part of the next few weeks focused on the editing of the recently re-discovered "lost" autobiography of Disney's Golden Age story artist Homer Brightman (center). 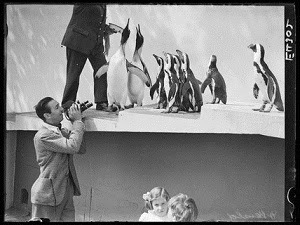 As always, I am getting help from quite a few people for this project, including Michael Barrier, Alberto Becattini and Homer's daughters. 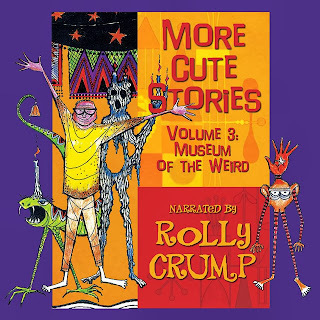 With some luck the book should be released by Theme Park Press in March or April this year. I will keep you all updated. 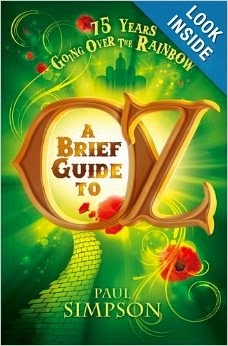 [Brian Sibley just sent me the UK edition of Paul Simpson’s A Brief Guide to Oz. 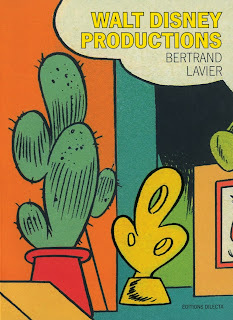 It will be published in the US in Feb 2014! 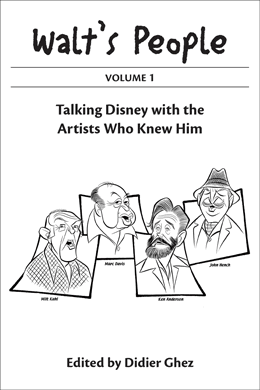 I have just started reading it, and it includes information on Walt’s buying the rights to the Oz Books, excluding the Wizard of Oz, and his attempts at producing a film in the 1950s! 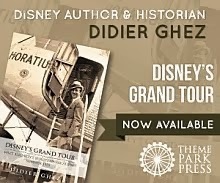 Do not miss this new interview about Disney's Grand Tour in which I discuss both the content of the book and the research process. Christian Renaut was kind enough to forward me his homage to the late Robin Allan. [Robin is gone. For anyone who was lucky to have known him, it means that a humble, passionate, generous man has left us. I may not be one of the people who knew him best, but I had the opportunity to meet his wife and him, and even be invited at his home in England, although we hardly knew each other. 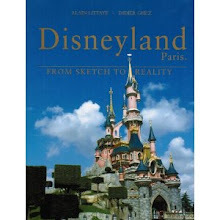 I had always wanted to meet the man who had written such a wonderful book as «Disney and Europe.» I have never read anything so clever and informed. I know all the odds he had to overcome to work it out. Some of us have had to get over the same ordeals. But he never gave up and now we are privileged to be able to own this precious book on our shelves. He was no greedy man, he was not full of himself, he only cared for putting forward what Walt Disney had done , not trying to blow his own horn. He could have made a lot of money selling all the cels he had been given when Disney cels were not worth much then, but he simply gave them to the library of his University as a kind of grateful gesture for the years he had spent there. Who would do that ? He kept congratulating the others on their achievements and I tried many times to tell him that he was unmatched. I’m thinking about his wife and family. My dear friend and fellow Disney historian, Robin Allan, author of the seminal book Disney and Europe, died peacefully last night after a long illness. Once again, I can't get myself to write a real tribute as this strikes way too close to home. Rest in Peace, Robin, A million thanks for your kindness and friendship throughout all these years. Looking forward to the release of this CD on January 15th! Help Needed in Alabama and in Washington D.C.
Now that Disney's Grand Tour has been released, prompted by reader of the blog John Meder, I have decided to investigate in detail the subject of Disney and Space. 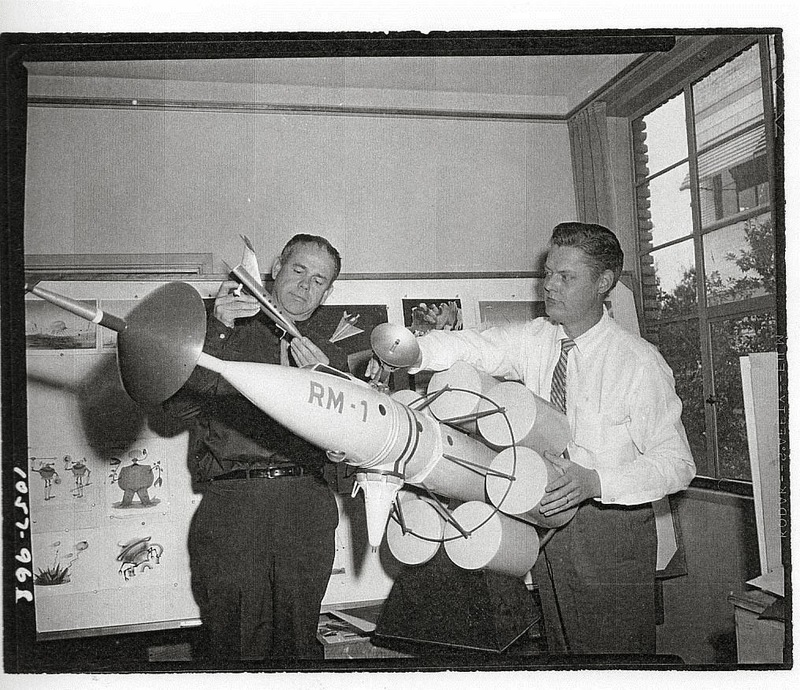 The best documents are stored at the Walt Disney Archives, of course, but also in Huntsville, Alabama (the papers of Werhner Von Braun) and in Washington D.C. (the papers of Willy Ley). Will I be lucky enough to find volunteers willing to help me dig up those documents in Huntsville and in Washington D.C.? If so, could you please email me at: didier.ghez@gmail.com? 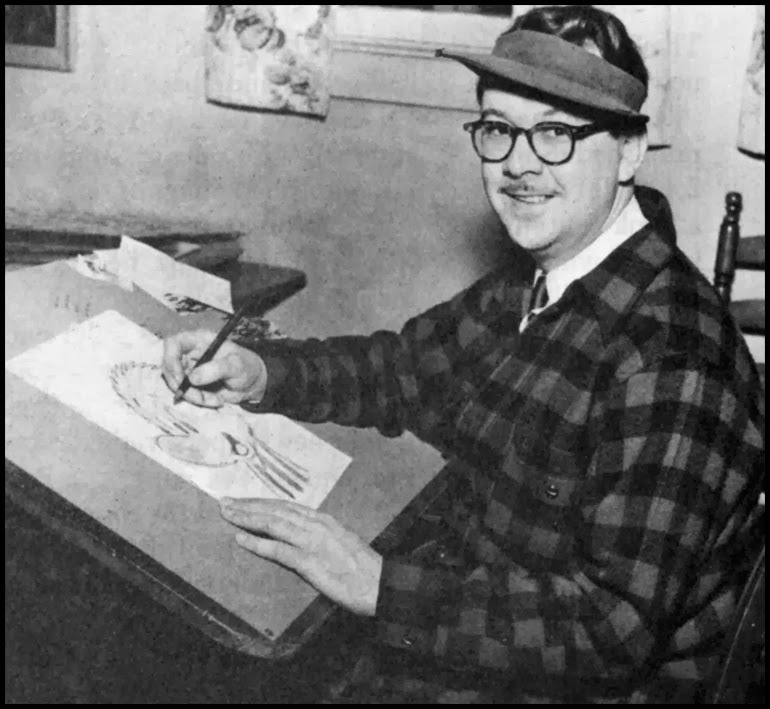 Is there a better way to start the new year than with some never-seen-before photos of Disney artists, courtesy of Julie Svendsen and John Emerson? 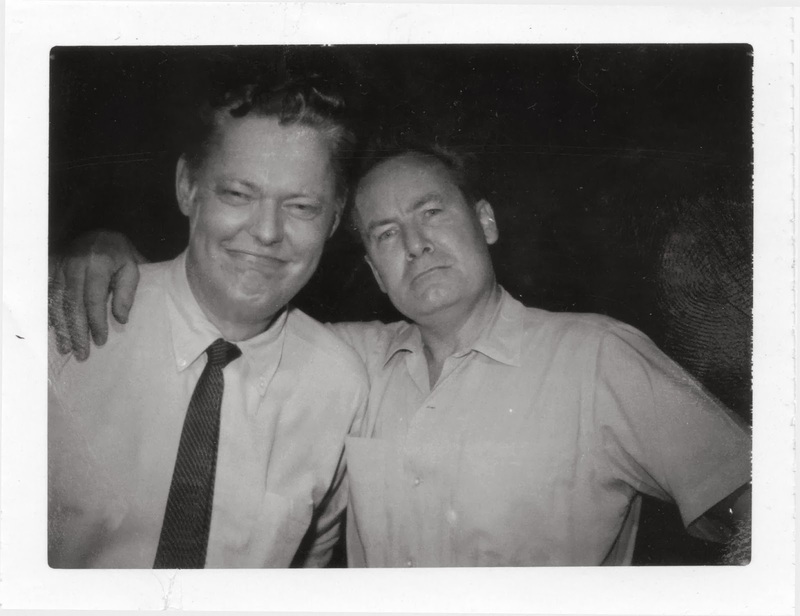 Above: Julius Svendsen and Bill Peet. 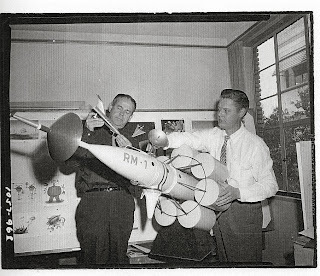 Below: Ward Kimball and Julius Svendsen. 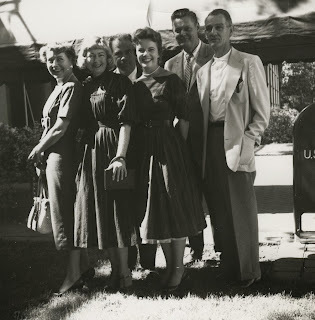 Below: Carletta Clemmons, Betty and Ward Kimball, Carol and Julius Svendsen and Larry Clemmons. Thanks to Joe Campana for identifying everyone.